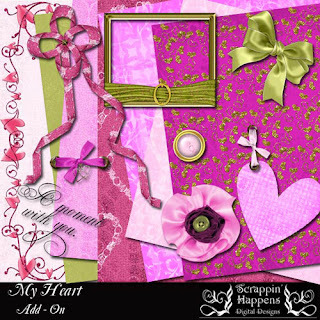 Hi everyone, I have lots for you today, and a freebie Add On of my new kit. This is My Heart, my Valentines kit and its at Stone Accents now. Until the end of January you can pick it up for 50% of the normal price. 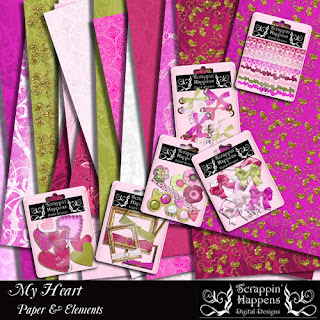 There are lots of new kits in the store so go on over and take a look. Thats it for today, I will have a new template in a few days. Have fun. Nice,nice,I luv!Thanx very much for this beautiful freebie.The colors are awesome as well as the elements and papers. What a beautiful freebie! Thanks! Thanks for the lovely addon! I also snagged a couple of templates too! Thanks much for the fab goodies!!! OH WOW! This is gorgeous! Love the colors!!! Thanks!!! I love your Valentine Kit! Thanks so much for the mini-kit! !